Last winter we decided to celebrate new year's eve in Krakow, Poland. We were looking for a city we haven't visited yet, and which was afordable at the same time. Without any big expectations we flew to Krakow. I didn't have any clue about the country, nor the city before my arrival at the airport. Our gentle cabdriver Jozef drove us to our hotel at Jozefa street, which was located in Kazimierz, the old jewish neighbourhood. Krakow is a small city. I'd recommend it as a lovely weekend trip of 3-4 days, which would be long enough to discover the beauties in and around the city. My favorite part of Krakow was Kazimierz, because it was full of street art, new discoveries around every corner. It was the right mix of old historical buildings and modern art. Kazimierz is very lively at night. There are plenties of bars, and a big diversity of restaurants. I'd recommend to try every single polish dish in the city, because their food is amazingly delicious. I'd go for Pierogis [polish dumplings] any day! Check out the restaurant "Starka" at Jozefa Street, a lovely arty restaurant, which serves polish dishes. great wines and home-made vodkas. The main square of the city, would be the place that reflects the image of Krakow the most. It's a huge place surrounded by old cathedrals and historical buildings. I think it's the biggest square i've ever been at. Because we were visting for new year's eve, the whole place was covered with food stalls, and a big christmas market [yes, after Christmas]. Same as Kazimierz, the square is surrounded by hundreds of restaurants and all kind of bars, jazz clubs, sports pubs, and old polish tavernes. The Royal Castle is just inbetween Kazimierz and the city's main square. While in Krakow, I guess it's a must to visit Auschwitz, or in polish Oświęcim. Visiting a concentration camp was still on my check list. During highschool we had to read so many books about 2nd world war, and the concentration camps across Europe, that I had to witness this monsterous place on my own. Our cabdriver Jozef picked us up at our hotel, and drove us to Auschwitz, which took us about 50 minutes by car. The guided tour lasts approximately 2 hours. After Auschwitz you get another short busride which will bring you to Birkenau. Visiting both camps takes half a day. After Auschwitz Jozef took us to Wieliczka Salt Mine which is located nearby Krakow. The Wieliczka mine is often referred to as the Underground Salt Cathedral of Poland. Now it's hard to tell if the salt mine is a tourist trap or not. Some rooms, mostly at the bottom of the salt mine, were quiet impressive, considering that all the statues, chandeliers, stairs, have been carved out of saltblocks. The floor, the ceilings ... they're all made out of salt. The negative part of the saltmine was the guided tour. We had a lovely guide, but the tour just lasted too long. Sadly I can't tell what Krakow looks like in summer. We had some pretty cold and grey days in Poland, but they were the right match for the new year's eve vibe, and our visit of Auschwitz. Depsite the freezing weather, Kaziemierz was always busy at night, same for the main square area. We met a couple of polish people, who they were all super welcoming. It's a cheap city, so it allows you to have a good time, and enjoy your stay without carrying too much about your wallet. On my 2nd trip to Tokyo, I booked my hotel in the Shinjuku area. Shinjuku is famous for its nightlife block called "Golden Gai". It's a whole block filled with bars, most of them are dive bars. Many of those places can only host a handful of customers, and are very limited in size. I heard about bar called "Curtis", which reminded me of the soulsinger Curtis Mayfield, it sounded like the right place to start my evening as a solo traveler. Due to a total lack of free-wifi spots in the area of Shinjuku, I wasn't able to get the right adress of "CURTIS" while walking through the tiny alleys of Tokyo. Outside of a building I saw the wooden sign "SECOND LINE". In New Orleans -Second Line- is called the dancing crowd, which follows the brass band during a street-parade. I totally got the idea behind the bar name, and felt this would be a great substitute for "Curtis Bar". I went downstairs to the basement, and entered the first door on the left. It was small bar, very dark, with 2 people sitting in a corner on a round table, and two other customers sitting on the counter. I took place on the counter as well, and the bar owner started to introduce himself in pretty good english. A pretty big collection of vinyls, soulmusic playing in the background, dimmed lights above the tables, and I was watching the owner cutting ice blocks with an ice-pick for my drink. You could notice that the owner Masaaki Matsuzaki put all his heart into that bar. He told me I should call him Matcham. Matcham introduced me to a couple of customers, which kept me busy for every night I visited his bar. We talked about records, about Japan, New Orleans and about our lives. Rarely I've been to a bar, that reflected so much passion. After I visited "Second Line", I turned back every night for a drink or two for my next 4 nights in Tokyo. I'd recommend this place to evey music lover, and everyone who's looking for a laidback but classy place to start the evening in Tokyo. The first thing that pops up in your head when you hear about Seattle, might be "Nirvana" or the grunge-era. At least that was the case for me, before I visited Seattle, WA. I didn't know much about the city, til I met my buddy Tony in New Orleans during Mardi-Gras. After a couple of drinks in Nola, we shared contacts, and invited each other to our hometown. That's how i made it to Seattle. After having convinced my girlfriend back then, we decided to do the whole westcoast on one single trip. Seattle was the first city on our journey. Seattle is a pretty big city, and you definitely need a car to move around. It depends on where you're staying at, it can easily take 1 hour bus ride to make it to the different areas in Seattle. Well the famous "Space Needle" tower, was all I wanted to see. But i was so wrong! First of all, after our first day, I noticed how big their coffee culture is! The first Starbucks coffee shop, was opened in Seattle in 1971 just nearby the Pike Place Market. In that area, you can find so many different coffee bars, and every single coffee i had in Seattle was just amazing. Since that trip I started enjoying my coffee "black", without any sugar or milk. Tony took me to different coffee drive-ins, and shared his knowledge of coffee roasting. Besides the coffee culture, there's an even bigger beer culture in Seattle! But i can't tell about that, as i'm not a beer drinker. The food was delicious ! I had the best alaskan salmon, the best oysters, and generally the best sea food in Seattle. It seemed like fastfood wasn't such a big thing in that city. There's so much nature to discover in the state of Washington and around Seattle. Mount Rainier and the Olympic Mountains are surrounding the city. While talking to the people in Seattle I could notice the importance of nature for them. Tony and his friends knew so many precise stories about the different mountains, lakes, and woods all around Seattle. Most of the houses in the suburbs were built with their local wood. BALLARD - was one of my favorite neighbourhoods in the city. You can find so many different shops, from the famous recordstore "Bop Street", to different tattoo parlours, good restaurants, and diy designer shops. FREMONT - a less busier area for shopping, but still it's totally worth to check out. You will find lots of street-wear shops, a big wall-painting of Shepard Fairey [OBEY], a statue of Lenin, and of course the Fremont Troll ! If you wanna grab lunch in Fremont, i'd recommend the delicious "Jai Thai" restaurant. For a more morbid adventure in Seattle, you can visit the different memorial statues of Jimmy Hendrix, Kurt Cobain, and the graves of Bruce Lee and Brandon Lee. Visiting the grave of Bruce Lee was very interesting though. The grave is located at the Lakeview Memorial cemetery. Not only you could still see lots of fans visiting Bruce Lee´s grave with their most respectful behaviour, some were even crying. The Lakeview Memorial is the nicest cemetery i´ve ever visited. From the top of the hill, you have a beautiful scenic view all over the city. One of the most memorable hotels i've ever stayed at in the USA, was the Sea Rock Inn in Mendocino, California. Heard about the Sir Douglas Quintet song "Mendocino" ? "Please stay here with me in Mendocino, Mendocino, Mendocino, Where life's such a groove". That's exactly what Mendocino feels like. A small village with the all beauty and magic you expect to happen in California. And the Sea Rock Inn, was just the perfect match to our short stay in Mendocino. You can choose between different cottages or bigger suites. We had a small wooden cottage, just next to the Mendocino coast. As soon as you stepped out of the cottage, you had an amazing panoramic view of the ocean. Perfect for watching the most romantic sunset. Our room was equipped with a small stove, to heat up the room during colder nights. The location was alright. It tooks us 10-15 minutes walking to reach the city center. Free parking was available as well, just behind our cottage. The "Sea Rock Inn" just felt like a total different experience compared to most other californian cities i've been to. Forget about the glamour, the hipsters, and all the bling bling. I'd recommend Mendocino to every couple who wants to have a break from the big city life. 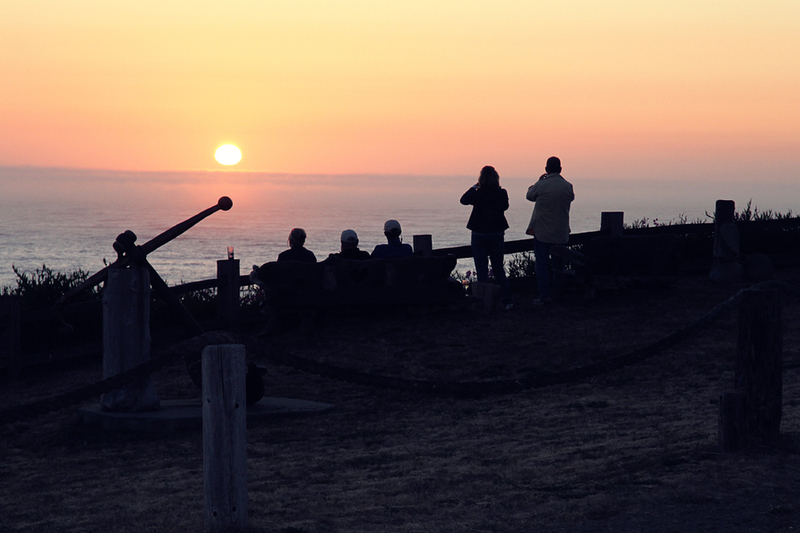 Enjoy the nature, the lovely people of Mendocino, and the delicious sea food. If I had to go back to Mendocino, the "SEA ROCK INN" would be definitely be the place i'd love to stay at again. The breathtaking view from the porch outside the cottage is all worth it. Breakfast was delicious as well. The lovely staff took care of everything. And again from the breakfast room, you could enjoy the beautiful scenery around the hotel. I visited a lot of cities in Europe, some were more impressive, others more entertaining, but I gotta admit ... for now ... that Budapest became my favorite european city. I first discovered the beautiful capital of Hungary last summer in July 2014. My first trip lasted 5 nights, and after that short trip, I knew I had to turn back. So I booked another flight to Budapest for September 2014. After those 2 trips last year, I'm heading back this summer in August 2015. There is so much to discover and to enjoy in Budapest. The city is packed with delicious restaurants, beautifully designed bars, and lots of historical sights. The main attractions are located centrally. Most parts are reachable by walking distances, so public transportation isn't needed. For the 10 days i spent in the capital, we always had the best weather. Let's start with the north of the city-center, where the Budapest City Park Városliget is located. You can spend a couple of hours in that part of city. The beautiful park is surrounded by historical buildings & castles, the famous heroes square, a big pond, and a bunch of restaurants. I'd recommend the restaurant "Robinson" and its charming outdoor dining area, where you can try some delicious hungarian dishes, and a panoramic view of the pond the park is included with your hungarian goulash. :) Inside the park, there's the famous and biggest thermal bath of Budapast "Széchenyi". It's an eyecatcher for sure, and you will feel like taking a bath in the 19th century. 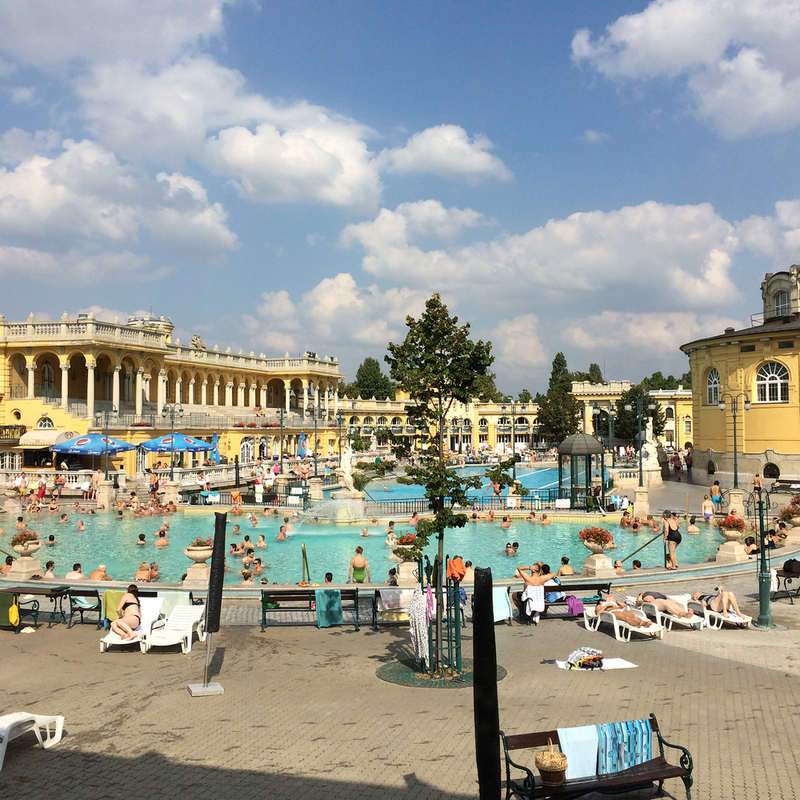 Every weekend they organize an open-air party at the Széchenyi thermal bath. Even if it's cold or raining, the warm temperature of the water, will put you at ease. If you're booking a hotel room, I'd recommend looking for the area nearby the St. Stephen's Basilica. In my opinion that's the very center of the city. You can reach anything within walking distance. Just in front of the basilica starts the Zrinyi Street, which is packed with restaurants, and some of the most popular clubs and bars of Budapest. The Erzsébet Square is only 3 minutes walking away from the basilica. The square is a beautiful and hip place to hangout all day in summer time. People are cooling down their foot in the small pool, you can have food at the nearby open-air dining area, or you just go clubbing at the Akvarium Club which is located below the square in the basement floor. The southern part of the city, which is located on the BUDA side of the Danube river, is reachable within 20 minutes. Just pass the Széchenyi Chain Bridge, and follow the path to the top of the Buda Castle, or the less tiring option would be the elevator. From the top of the hill, you can enjoy the the beautiful skyline of the PEST side of the city. You get pretty much the same view from different areas of the BUDA side. The Citadella fortress on the south-east side is totally worth the hike. It's even higher than the Buda castle, and on the top there's beautiful botanical garden (during summer time), once you walk down the citadella hill, you will reach the famous thermal bath Gellert. Passing Gellert, and moving over the bridge back to the Pest side, you will hit the Central Market Hall, which is worth a visit. • it never gets boring. I guess i've seen most of the main attractions, but just walking through the streets of Budapest is totally enjoyable. Everyone is super friendy, and everyone I met speaks english, even the older generation. • it's cheap ! Like many eastern-european cities, food & drinks are half the price than central Europe. It's a great city, to go out dining in a restaurant everyday. Expect to pay around 10 euro [13 Us$] for a starter, the main dish, a coffee, 2 softdrinks and a glass of wine. Half a pint of beer is around 1 euro, gin&tonic is around 3.50 euro, and a cocktail around 5 euro. • it's a lively city. I've only been there twice, but during those trips there was a biiiig beer festival in the mainstreet of the center, a food festival, parties on the cruising-ship, parties at the thermal bath, a techno party at the Margit Island... Budapest people know how to enjoy life. The city has a big diversity of bars, wine bars, restaurants... boredom never comes up. I had such a great time in Budapest, that it keeps me from visiting the beautiful city of Prague. Both cities often get compared with each other, that's why I'm afraid of not enjoy Prague that much, after I fell i love with Budapest. I will dedicate my first travel blog-post to the beautiful country of the rising sun called JAPAN. I first visited Japan in May 2014, and after a very short 5-day-journey across the Kansei region, I instantly fell in love with that beautiful country. 5 days only? Isn't that too short? Well, I felt a little bit insecure visiting a country, where it wouldn't be easy to communicate with the people around me. I wouldn't be able to talk to most people, and couldn't read their letters and signs. I was on a budget as well. The 5 nights in Japan [2 in Kyoto, and 3 in Osaka] and the flight cost me around 750 euro [830 US$], bargain!, wasn't it? I had the maximum of a japanese experience i could have expected on that short trip, from delicious japanese food, to the geishas at the Gion area in Kyoto, to a traveler meet-up with locals and gaijins [foreigners] all dressed up in traditional Kimonos. As soon as i left Japan, I knew i'd turn back very soon, for a long trip and of course visiting its capital Tokyo. I turned back in April 2015 for the sakura season [cherry blossoms], and started my trip in Tokyo. From Tokyo I moved on towards Kansei, and visited my friends in Osaka again. From Osaka you're pretty close to Kyoto, Nara, Kobe, and plenty of other smaller cities. It's just right in the middle of the country, and it only takes you 3 hours to reach Tokyo by Shinkansen [super-fast bullettrain], and 3 hours to reach Fukuoka on the west-side of the island. A 200 euro [230 US$] Japan-Rail Pass will give you access to infinite train-rides for a whole week. It is expensive for a one-week ticket. But as soon as you figure out that a one-way ticket from Tokyo to Osaka costs half the price [around 100 euro] of the JR Pass, you will notice that it's worth every cent. After having experienced the 2 most famous cities of Japan, Tokyo and Osaka. I'd definitely recommend the Kansei area for those who are planing their first adventure in Japan. Why? Well, it's just a totally different vibe than Tokyo. 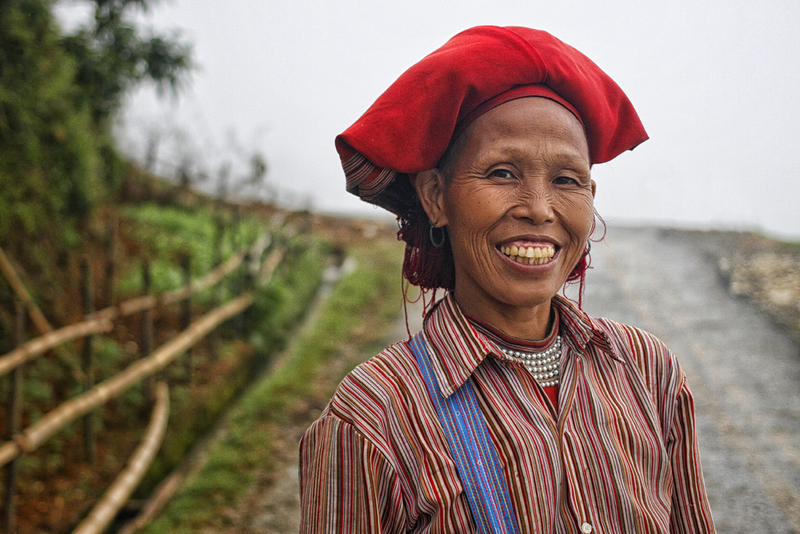 Less crowded, less busyer, more smiling people, and a lot more of cultural and traditional sights. By the way Kyoto is considered the most cultural city of whole Japan. The city of Kyoto owns the most temples per city in Japan. If you plan on doing both cities on the same trip. I'd recommend visiting Tokyo on the first days of your journey. In case you'd start your trip in Kansei, you might get disappointed with Tokyo. Don't get me wrong! Tokyo is an a-m-a-z-i-n-g city! But it's just too busy, and it takes you forever to move around with public transportation. All the clichees you've seen and heard about Japan, you will experience all of them in Osaka and Kyoto... except for the concrete jungle that Tokyo is best known for. After my second trip to Japan, I'm already planning to turn back for a second time this year. But only visiting Tokyo for 5-6 days. It's such a huge city, that i've only discovered a tiny part of it on my first 5-days in Tokyo. I could go on, and write about Japan for a couple of hours, and fill pages with tons of words and photos. In the next weeks I will try to add single reviews to this blog, and more precise recommendations of the different areas I discovered in Japan. Is it easy to get along without understanding a word ? To be honest, japanese people [well most of them] are very bad in english! Once you start learning japanese, you will understand why they're so bad. It's just a total different grammar, the order of the subjects, verbs, objects are totally different, than most of the languages we are used to. They got 3 different alphabets [hiragana, katakana, and an endless huge symbol-alphabet called kanji]. Let's get to the point! It's very easy to move around Japan. Most menus have photos next to their common meals. A lot of restaurants have english menus, and all you need to do, is to point with your finger on what you want to eat. Your finger will be the most important tool in Japan. The subway and railway stations have the english station-names on their rail-map. Most employees at the maininformation-desk speak english. The check-in staff at the hotels mostly communicate in broken-english, but they will understand anything you'll ask them. Once you start going out in japan around midnight, after a couple of drinks, lots of japanese people will overcome their shyness, and will try to communicate in english with you. Everyone i've met in japan was super-friendly und very helpful. You will never feel lost in Japan... maybe just for a couple of minutes ;), til someone reaches out to help you.